In speaking with condominium associations on a daily basis, we have uncovered that there are misconceptions about FHA and its loan programs and what they mean to condominiums nationally. Many associations are opting to not get approved with FHA based on these misconceptions so we decided to shed some light on the importance of FHA to your condominium community. The Federal Housing Administration, or FHA, is a mortgage loan insurance provider. 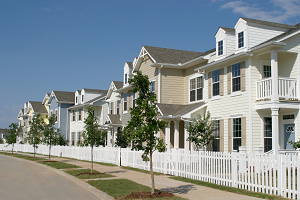 FHA is housed with The Department of Housing and Urban Development, or HUD. It has a set of guidelines for housing loans and if a borrower meets these guidelines, FHA will insure the loan to protect the lender against losses. FHA has different criteria with which it qualifies borrowers than the so-called “conventional” loan programs of Fannie Mae and Freddie Mac. FHA allows for lower down payments and has slightly more lenient credit-qualifying criteria than conventional loan programs. However, despite being an arm of HUD, FHA is not a loan program for low-income or so-called “Section 8” borrowers. This is a common myth. The FHA program was designed to fill this certain niche area and was intended to have a market share of around 10-15%. During the housing downturn that began in 2007, FHA’s market share quickly jumped to over 40% and even higher in certain areas. This was cause for concern and HUD began searching for areas where it could mitigate risk. One of the primary targets was how it reviewed and approved condominium projects. For decades, HUD had maintained a list of approved condominiums but those projects had never been re-reviewed to verify they they still met HUD’s criteria. Another area was to tighten income- and credit-qualifying criteria which made it more difficult for some borrowers to obtain FHA loans. Our Condominium Was Never Approved Before…What Changed? In November 2009, HUD released Mortgagee Letter 09-46b which made three fundamental changes to the guidelines of condominium approvals and condominium loans. First, the “Spot Loan” program was eliminated. Prior to February 1, 2010, FHA allowed loans in condominium projects that were not on the Approved Condominiums List. Instead of requiring that the project get approved, it would allow single loans in non-approved projects. HUD determined that this was beyond its risk tolerance and eliminated the program effective February 1, 2010. Now, in order for an FHA loan to be used to finance a condominium unit, the project must be on the Approved List. New guidelines and processing for condominium project approvals were announced. During 2008-2009, HUD investigated its Approved Condominiums List and determined that the previous approval process lacked proper oversight. New, temporary guidelines were announced in the Mortgagee Letter as was the requirement for all currently-approved condominiums to get recertified under the new guidelines. 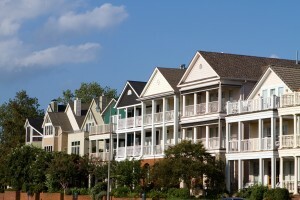 Tens of thousands of condominiums across the country saw their approvals expire in 2011. It required that all condominium projects get recertified every two years to remain on the Approved Condominiums List. HUD had initially intended for condominiums to go through a recertification process to determine if the projects continued to meet its criteria. Initially, there was talk about requiring recertifications every year but HUD settled on every two years. What Does This Mean for Condominium Associations? 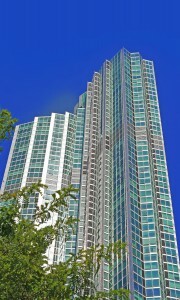 The question for Associations now becomes: “Should we be on the Approved Condos List?” As condominium project consultants who assists associations to get on the List, our answer should be “absolutely!” But the honest answer is that it depends on the condominium’s location, make-up and market value of the units. Some condominiums simply do not meet FHA’s guidelines, such as condo-hotels and those in a coastal barrier zones. Others have sales prices that greatly exceed FHA’s maximum loan amounts. Nationally, these represent the minority of condominiums. Roughly 40% of all new loans are FHA loans. FHA’s “sweet spot” are loan amounts in the range of $100,000-250,000. It is not uncommon for FHA loans to encumber 20-40% of the units in condominium projects with unit values in this range. By not being on the Approved List, the association could be reducing its buyer pool by this amount. Typically, units listed for sale in Approved condominiums are more likely to sell and less likely to expire than those in non-Approved projects. FHA-Approved Condos promote owner-occupancy. A much higher percentage of investors use conventional loans with larger down payments. Not having availability to FHA loans in a condominium has a tendency to attract buyers who are investors, especially with sales prices in the range of $50,000-150,000. Once the investor ratio tops 50% of the units, financing for units becomes very difficult to obtain. Because FHA is a division of HUD, many folks associate FHA with low-income housing or bad credit borrowers, which is incorrect. FHA has almost the same income qualifications as Fannie Mae. More than 60% of FHA borrowers have scores of 660 or higher; more than 25% have scores in excess of 720, which are “Tier 1” or “A+” borrowers. Despite having more lenient credit qualifications, FHA has a lower default rate than Fannie Mae. Nationally, FHA loans have roughly a 2.25% in-foreclosure rate and this rate decreases as the loan amounts increase. In addition, condominium loans are among the best-performing loans in FHA’s portfolio. Getting on the Approved Condominiums List is a proven method for attracting more buyers and buyers who intend to occupy the units. Overall, this is beneficial to the financial stability of the condominium and the community as a whole.